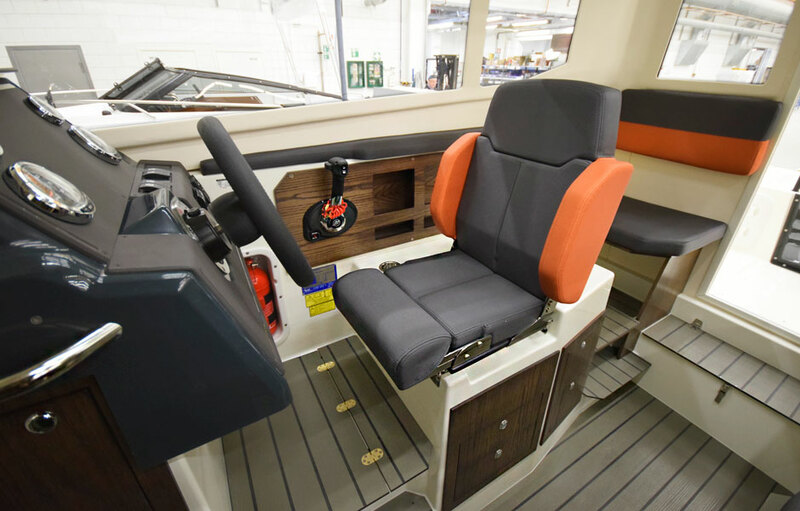 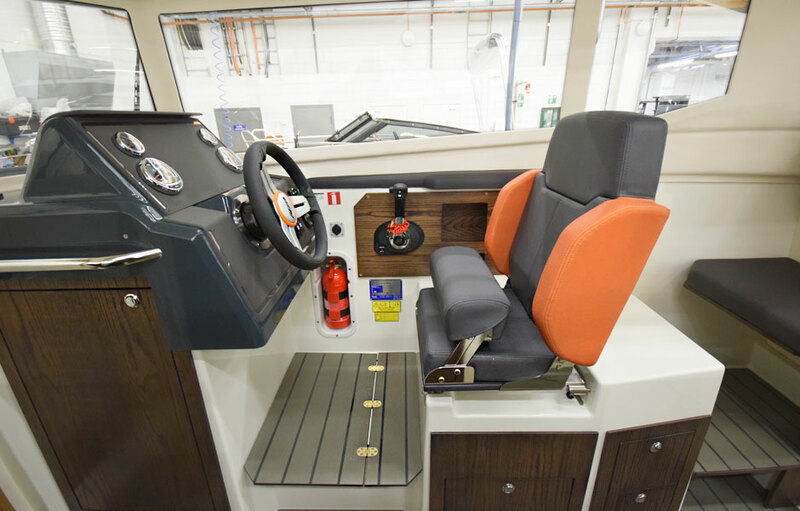 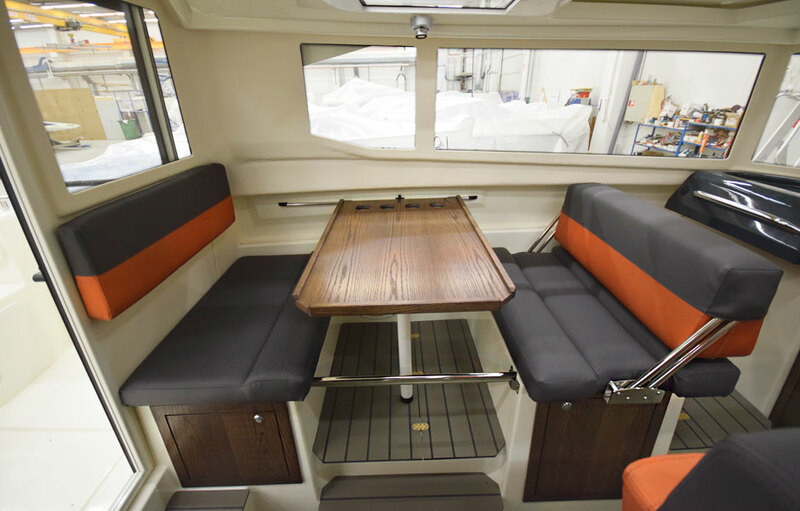 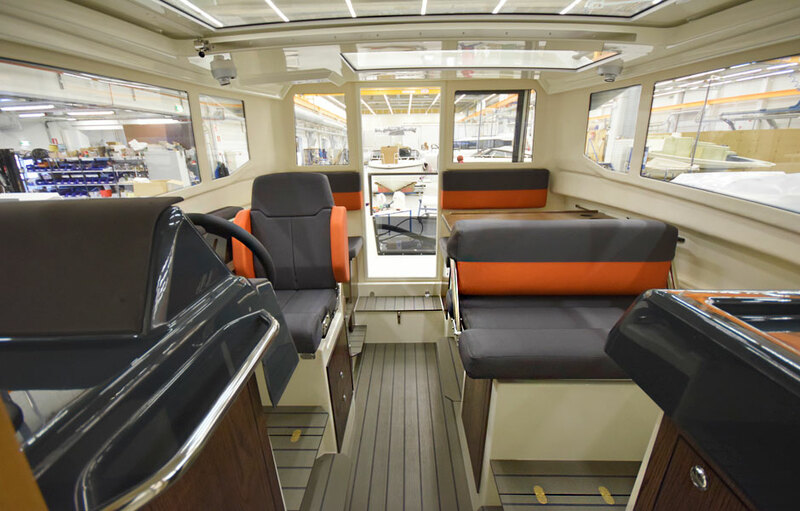 The interior décor and look of our popular Bella 700 Patrol have been updated to match the revamped Bella range. 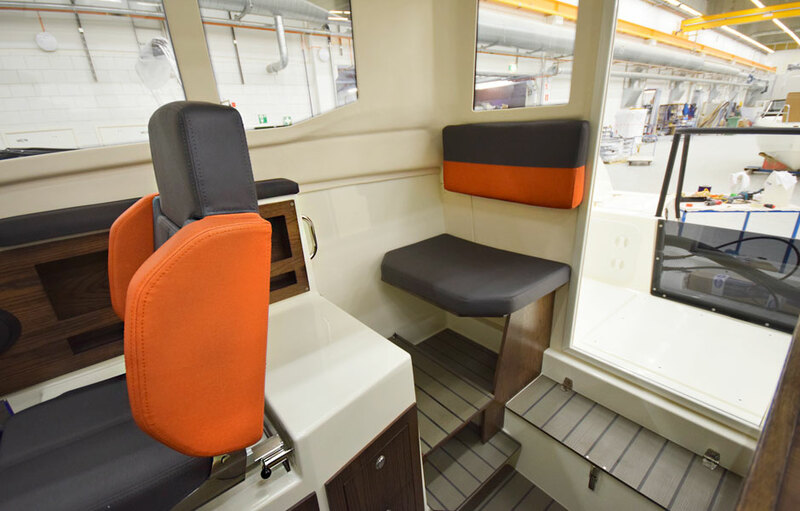 The colour scheme of the cabin and the stripes along the sides of the boat is now grey and orange. 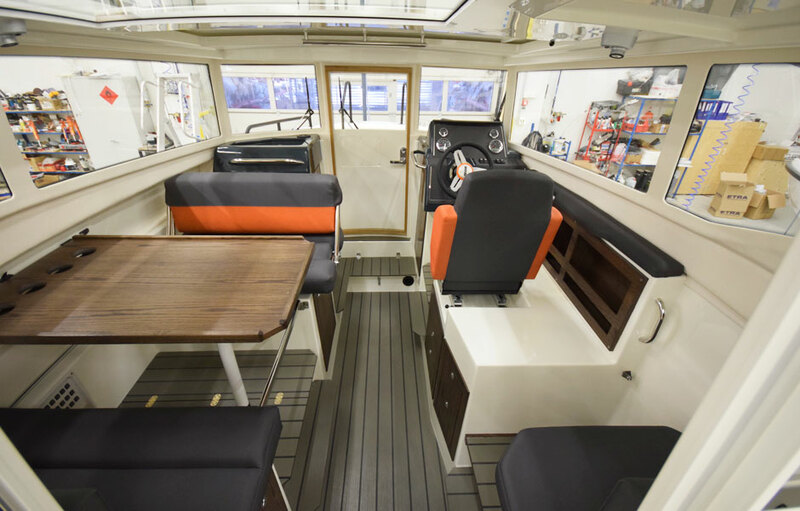 The rubbing strip has also been reprofiled, teak has given way to grey laminate, and the railings are now black as in the Bella 700 RAID. 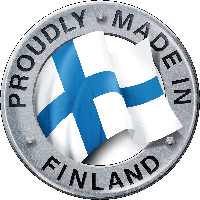 More sound insulation has been added to dampen engine sounds. 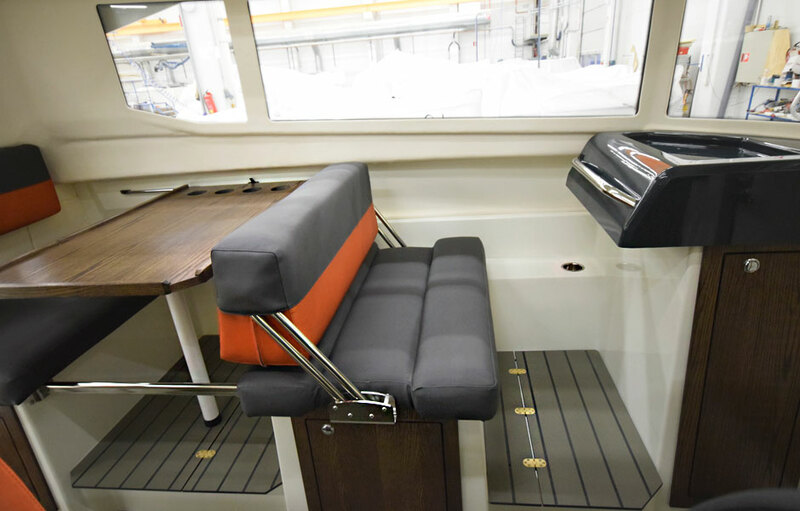 This improvement is not visible from the outside, but it makes the boat even more comfortable to ride. 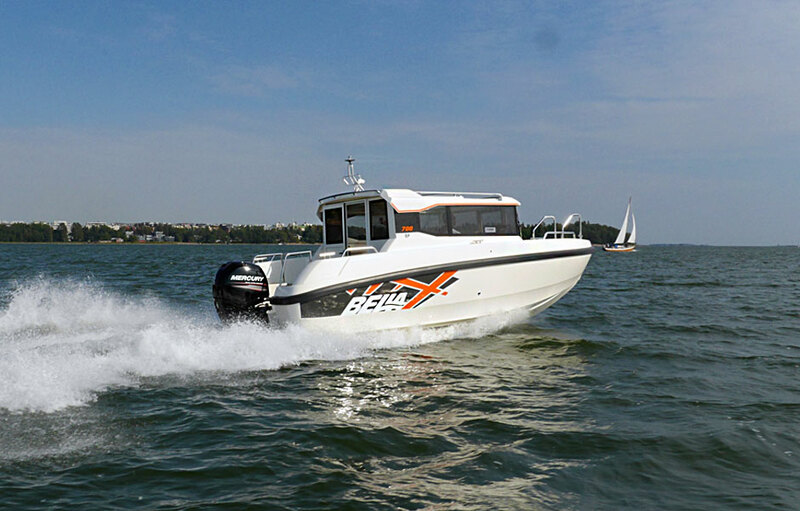 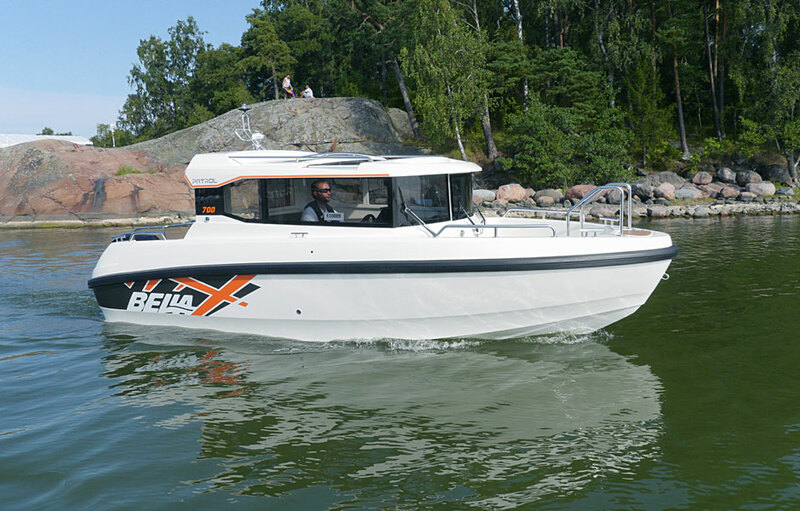 The changes are designed to make the look of the Bella 700 Patrol consistent with the rest of the Bella range.